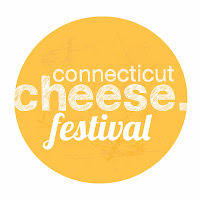 The Connecticut Cheese Festival was our pick for Best Local Food Event of 2013. Food Republic recently named New Haven native Jason Sobocinski's Caseus Fromagerie & Bistro third in its list of The Ten Best Cheese Shops in America. We were not at all surprised, for we had the fantastic opportunity to spend a few hours with Sobocinski and some of his cheese-loving friends at the Connecticut Cheese Festival this fall, and we can tell you that this man is all about cheese. With its apt motto, "Curd is the word," the three-hour festival proved that Connecticut is becoming a leader in the artisan cheesemaking revolution. Featuring demonstrations, tastings, classes, and pairings (all with cheese experts), local vendors like Mystic Cheese Company and Fairfield Cheese Company, not one but two grilled cheese trucks, and even a cheese-rolling contest, this event was the cheese lover's place to be. It took place on October 13th and coincided with one of the final Coventry Farmers' Markets of the summer season which take place at the Nathan Hale Homestead. Market "Master" Winter Caplanson invited press, including local bloggers (that's us! ), to check it out. When we arrived, Sobocinski greeted us and gave us a run-down of the day as we watched market volunteers assemble the Connecticut Cheese Plates which market-goers could pre-order. The plate was beautifully composed and included a variety of cow, sheep and goat cheeses from local cheesemakers with a wide range of textures and flavors, along with locally-made accompaniments. We were instructed to taste clockwise, from lightest/youngest cheeses to the oldest/strongest: There was Oak Leaf Dairy Fresh Chevre (goat's milk) with Farm to Hearth Woodfired Oven-Baked Crisp, Mystic Cheese Company Melville (mixed milk) with Winding Drive Citrus Marmalade, Arethusa Camembert (cow's milk) with 18th Century Purity Farm Heirloom Apple, Beaver Brook Farmstead (sheep's milk) with Falls Creek Farm-Made Quince Paste, and Cato Corner Aged Bloomsday (cow's milk) with Stonewall Apiary Raw Honey. It was a delicious walk through the farms of Connecticut on a single plate. Next we were invited to join in on the unique and inspiring "Poetry, Music and Cheese Class." Robert Aguilera, who met Sobocinski while the two were working at Formaggio Kitchen in Boston, led participants on an artistic journey to experience cheese as a living entity - pairing it not only with wine or beer, but also with music and poetry. To give much of it away would be a shame, because this is the kind of thing that must be experienced in person, but suffice it to say that it both touched us and gave us a whole new outlook on food pairing. The class whet our appetites, so we headed to the Caseus Cheese Truck to wait in line and order the special CT Grilled Cheese. So enraptured by the piping hot, melted cheese, and perfectly grilled, crispy bread, we devoured the whole thing before stopping to take a photo (silly us!). Thankfully, we caught Sobocinski as he enjoyed one himself. We watched a few minutes of the mozzarella-making demo which showed how to make a pound of fresh mozzarella using New England Cheesemaking Supply Co.'s cheesemaking kit. Yes, we bought one! But no, we didn't get to see the outcome, since our last, and favorite stop was the Cheese and Spirits Pairing Class with none other than Jason Sobocinski, "The Big Cheese," himself. After starting with "Every cheese has a story," Sobocinski proceeded to walk us through an hour-long tasting of cheeses paired not with wines but with spirits. We knew we were in the right place when we saw the bottle of our favorite Onyx Moonshine at the table. The best thing was that Sobocinski did not suggest to us what we were tasting, but patiently waited while we tasted and pondered and then discussed what flavors came through on our own palates. He was more of a guide than anything else, and we learned a lot. Amy's favorite pairing was the Bees' Knees - Onyx, local honey and lemon juice - paired with Mystic Cheese's buttery Melville, while Chris loved the Manhattan - Johnny Drum Special Reserve Bourbon, Carpano Antica Vermouth and Luxardo cherries - paired with Arethusa's grassy, nutty Europa. Even without the perfect pairings, those are our favorite new cheeses. We plan to visit his new venture, Ordinary in New Haven, very soon for more. All in all we had a great day. We met many new friends, enjoyed plenty of Connecticut-grown products, discovered some now-favorites, and learned a heck of a lot about cheese. We can't wait for next year's Connecticut Cheese Festival, and we highly recommend you meet us there!